The Cuisinart Countertop Single Burner provides extra countertop cooking options for parties and holidays. The flat surface is easy to clean and the brushed stainless housing looks great on the counter. 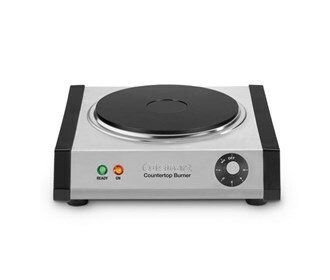 The Cuisinart Countertop Single Burner has many exciting features for users of all types. You can extend the lifetime of your Cuisinart Countertop Single Burner with the purchase of a FactoryOutletStore Factory Protection Plan. See the Cuisinart Countertop Single Burner gallery images above for more product views. 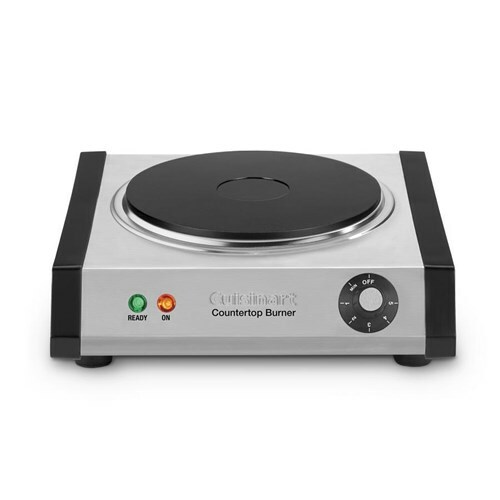 The Cuisinart Countertop Single Burner is sold as a Brand New Unopened Item.